Real Racing 3 was teased a while back, promising to redefine racing on iOS for a 3rd time, and it’s finally been released! However, the big surprise is not the graphics, gameplay, or multiplayer, it is the fact Real Racing 3 is now being offered for free. Hyper-realistic. Pure fun. 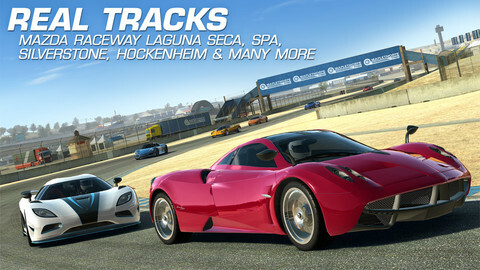 Real Racing 3 sets a new standard for mobile racing games – it really must be experienced to be believed. The adoption of a freemium model isn’t something we’ve seen before, with games such as Clash of Clans and various others reaping in serious success, and maintaining ranking in the top free charts for months. 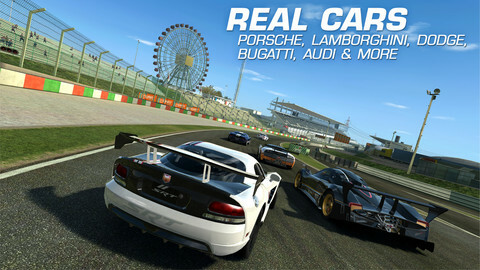 Therefore, it’s of no surprise that Real Racing 3 has decided to adopt the same model. Real Racing 3 can be played without putting any money into it, and it is designed as such, but will require a lot of time to be invested in it. For example, when racing, your car loses tyre tread and uses oil, so after each race the levels are depleted and consequently your car must be serviced at intervals. Of course, the process can be sped up in exchange for funds, but you’re going to want to save these for upgrading your car and buying new ones. More funds can be exchanged for real money, of course. 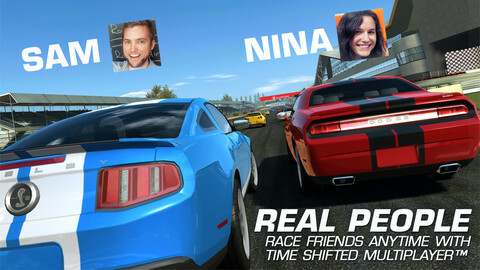 Real Racing 3 is a fantastic game, and is definitely recommended. You can download it for free hereand don’t forget to add me on Gamecenter and try to beat my time: Btrim14.